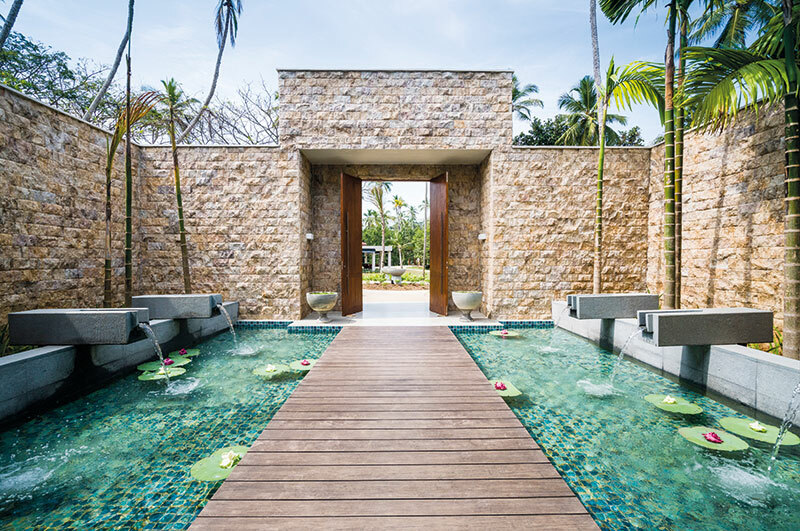 Located in a coconut plantation with stunning views of the Indian Ocean, the Anantara Peace Haven in Tangalle is a serene beach hideaway that is famous for its wellness rituals. The world-renowned Anantara Spa encompasses 5,000-year-old Ayurvedic traditions that would make even Cleopatra feel at home. Anantara’s philosophy, ‘without end’, stems from ancient Sanskrit practices and is expressed through an integrated Ayurvedic approach. The same nurturing care extends to the carefully curated spa products. Natural elixirs are sourced from indigenous ingredients, such as moisturising coconut, beautifying spices, detoxifying green tea and soothing aloe vera. The pre-bridal rituals include herbal steam and bath treatments laced with milk, sandalwood bath oil and Ceylon green tea — all promising to restore your natural glow. The treatment, Ceylon Retreat, commenced with a refreshing black tea and lime foot scrub. Next, a purifying and exfoliating green tea and salt scrub prepared my skin for a rehydrating and nourishing coconut body wrap. The spa selects local ingredients and combines it with revered techniques from around the world. Most of their treatments draw from the Thai pressure point massages and stretching techniques. I tried the Ayurvedic Abhyanga Massage, which did its best to soothe my mind nd body, and concluded with a facial of my choice — the Purity Skin Renewal ritual — a detoxifying mask comprising four teas and the lupine flower. The bride-to-be is recommended the comprehensive programmes including the six-hour restorative treatments spread across three days.